I think its a clue worth exploring , to me the physical resemblance between thes 2 figures is just striking. What if this whole Waco story was just some kind of virtual stage where Bill Hicks died and resurected as Alex Jones ? Aughh! I truly hope we're not making Bill roll in his grave. At this time, I personally think there's precious little evidence for Alex Jones being Bill Hicks. However, I won't say more for now - this is just my two cents... and I'm not one to discourage research! Actually my returning to this topic was not due to any additional credibility, but rather to underline the paradox: that people are discussing the Bill Hicks possibility, missing or skipping the obvious under their eyes: that Alex Jones is a fake persona, who even uses sim-photos to fabricate himself a fake past, sort of like it was done with the "replicants" in Blade Runner. This seems so much more important to me than any speculation on the Hicks connection, and actually it might explain why such connection is even there, so that we don't react to the news that "Alex Jones" is not a real person. "Of course, he's Bill Hicks!" Says the crowd. But that's not the point! From Blade Runner. 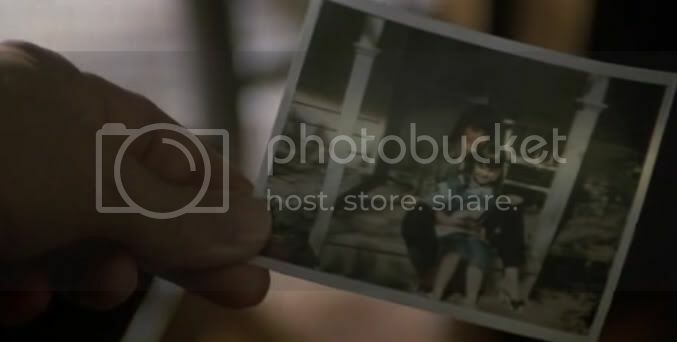 The replicant's fake family pictures, in support of the "memory implants". From AJ's childhood pictures. 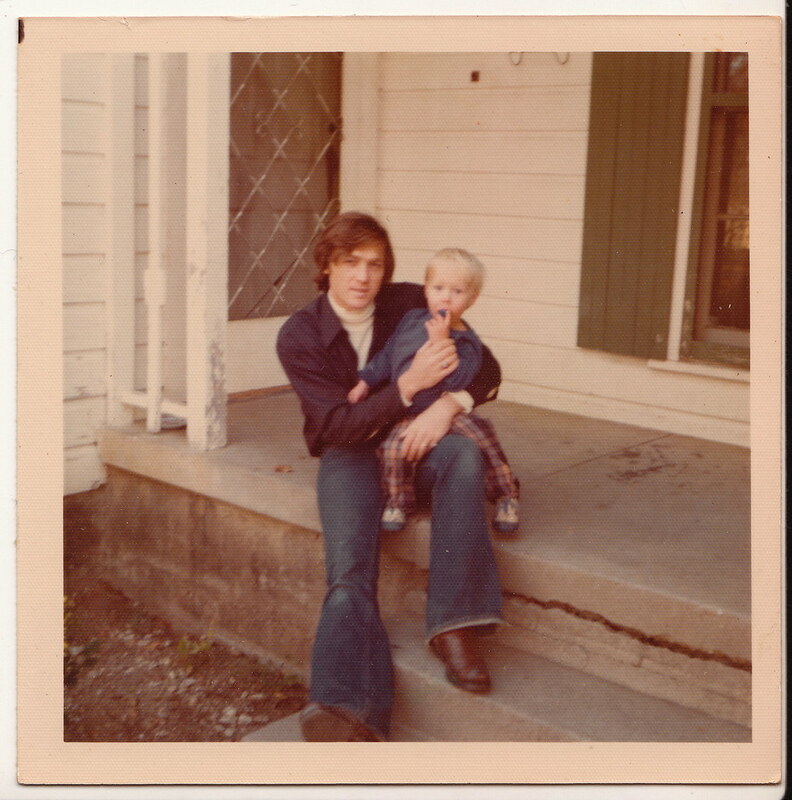 Even Jones' father, the "dentist", looks a bit like Bill Hicks. Also, funny how, judging by the shadow around the "polaroid", the light source in this "scan" seem to be coming from the top left like any photoshop shadow plugin would pretend it to be coming from. Shadows in scans don't look like this. Of course we can investigate if the Kevin Booth+Waco clues are meaningful. But I suspect we won't get far that way, not until a lot more is investigated about this Jones character who at this point is probably one of the most important cogs in 9/11 covering-up machine. As to the damn resemblance: resemblances have been used for years to take the research on fakery for a ride. Ultimately they are not helpful because they try to define something that is vague and subjective and that could never be used in a court of law even if such court existed. It's the perfect time waster because everyone has an opinion and there is no safe universally recognized method to go past it. See what happened with the Arizona shooting. See the whole David Angell debate. Sure one can investigate and mention resemblances as a side clue to make people think at the possibility: but how can it be the main subject for a given investigation? Resemblance is a tricky thing. Even people who have known someone for years can be confused by resemblances. Here's an italian wikedpedia article that it can be worth google-translating: http://it.wikipedia.org/wiki/Caso_Bruneri-Canella. It summarize the most famous case of mistaken identity that was big in Mussolini's time. Obviously a distraction to keep the people entertained (where the bad guy was even an "anarchist"). They went on for years in a court of law trying to prove the identity of a person who had replaced a soldier missing during WWI, even fooling or rather with the complicity of the soldier's wife... It's an episode that contains reflections on the resemblance problem that even inspired Pirandello to write one of his most crucial plays, Come tu mi vuoi ("As you desire me"). The moral being that resemblance is not safe ground. I also think it rather obvious that Jones would be interested to have the Hicks debate going, to move the attention away from his hollow, fabricated past (a debate that already generates 1,370,000 results in google.) Besides I think the difference in age between the two characters is very visible in the early Jones appearances on video. At most it could be speculated that he is Hicks younger brother or an agent bred to be his replacement, for an operation later discarded. But you see how this is so completely speculative. Any admin could tell me where can I start topics, some area here I think, so that I don't post stuff a bit out of context? Thank you. I've been seeing some videos collected by some guy in youtube on alex jones and he's the authentic "truth warrior" character.. omg.. I'm a little ambivalent about the idea that Alex Jones is Bill Hicks. But one thing I found very... odd... is when he interviewed Doug Stanhope in April 2010. In the clip linked below, Stanhope makes the almost unnoticeable quip "...Kevin Booth, you might know as 'Yoko Hicks'" . By this he means that the partnership with Kevin Booth changed Hicks/Jones the way marrying Yoko Ono changed John Lennon. Very strange remark and I would have loved to have been able to see "Alex's" facial reaction. Go to time 6:14 for the Yoko Hicks line. There's a lot of evidence to suggest Hicks is Jones. If you're a Hicks fan, this will offend you and you will brush it off. But I don't think it's as silly as you are trying to portray it to be. Much like every other conspiracy, I thought it was nonsense too but there are some compelling similarities between these two actors. The teeth are one thing. Moles can be removed. Ears can be altered. Coloured contact lenses. All very basic surgery. The fact that Jones looks at least 10 years older than he is said to be. He looks the age Hicks would be if he hadn't died. It's not normal for someone Hicks age to suffer let alone die from pancreatic cancer. Same production company. Both from Austin Texas. Same best friend. This is not enough to convince anyone, sure but there's plenty more. Jones appeared on the scene not long after Hick's death. There are some alleged photos of a young Jones on the internet, not many and not good enough to convince me they haven't been doctored. End of the day, there's nothing too outlandish for them to do. I haven't looked into this in great detail as I prefer to focus on other areas, but I would encourage you to check out the work of those who have. It makes sense to me that Hicks "became" Jones given what we know about fakery and psyops. I've looked into it deep enough to be well over 50% that Hicks and Booth hatched this and using the Hicks cancer movie, programmed enough to firewall the belief that Hicks died of cancer. I'm also in the Parker/Stone = Harris/Klebold camp. elmoastro » 12 Jul 2018, 08:50 wrote: I'm also in the Parker/Stone = Harris/Klebold camp. 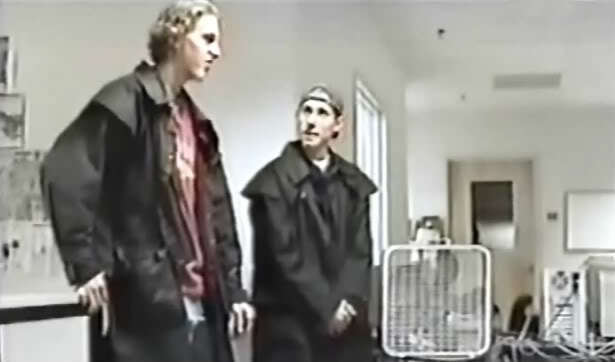 So did Klebold get leg shortening surgery, while Harris gained half a foot after high school? lol.